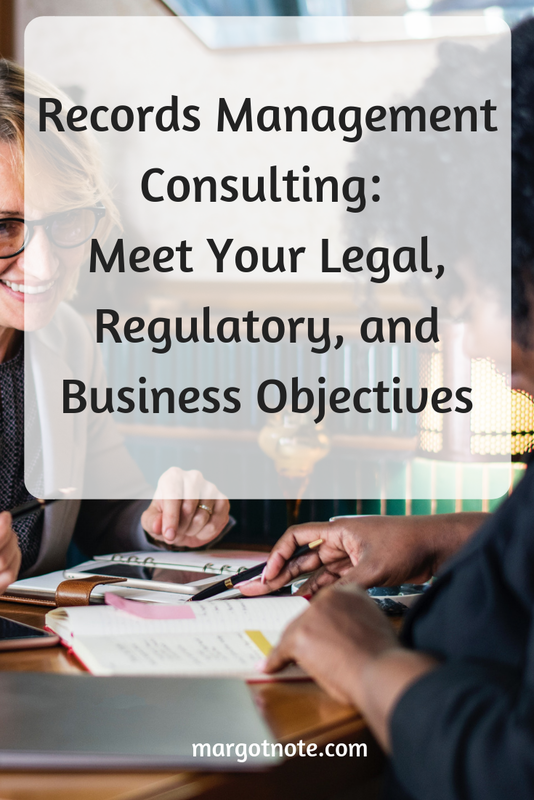 My records management consulting services align information lifecycle controls with your business priorities, resulting in regulatory compliance, risk mitigation, and measurable business efficiencies. A record is evidence of a business activity or transaction, regardless of its physical media. For example, it can be a paper or electronic record. A records retention program includes the systematic storage, tracking, and destruction of records created while doing business. It identifies the records that need to be kept and outlines guidelines for how long different record types should be stored and how they should be destroyed. Good records management saves time, costs, and space and mitigates risk. Records management provides the right information at the right time to the right people at the lowest possible cost. A retention program will also make doing your job easier. Many organizations (large and small) don’t have a records manager but can benefit greatly from a consultant such as myself who can deliver measurable results to reduce risk, save money, and increase efficiency. My steadfast commitment is to a meticulous standard of collaboration with my clients. I customize my solutions for your unique culture and capabilities. I work independently so I can offer you the best, unbiased advice and excellent customer service. Unlike consulting firms with big overheads and even bigger invoices, I am a lean entrepreneur who offers incredible value by working directly with me—the expert. Interested in learning more? Contact me to begin a conversation about your records management needs.